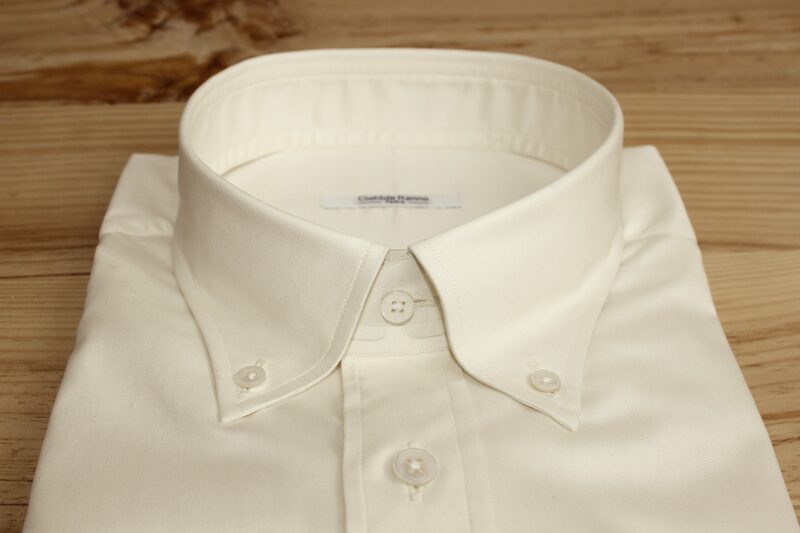 Beige business shirt for men, 100% Egyptian cotton, simple yarn, buttoned down collar, crescendo wrists. Traditionally made (handmade pattern and cut). From 199 euros VAT included. 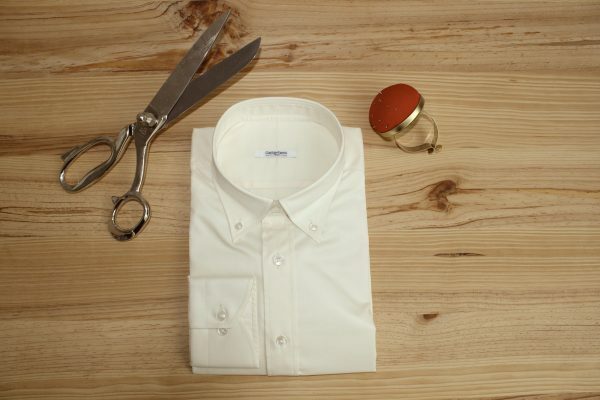 A Clotilde Ranno’s bespoke shirt costs at least 199 euros VAT included. Depending on the fabric and the options you will choose, this price may vary. 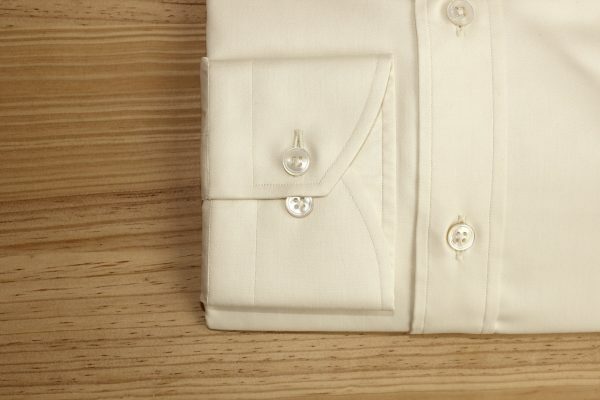 You all have classic and timeless white shirt in your closet. How about choosing a more original color? I propose you a very nice beige bespoke shirt: particularly adapted to tanned skins. 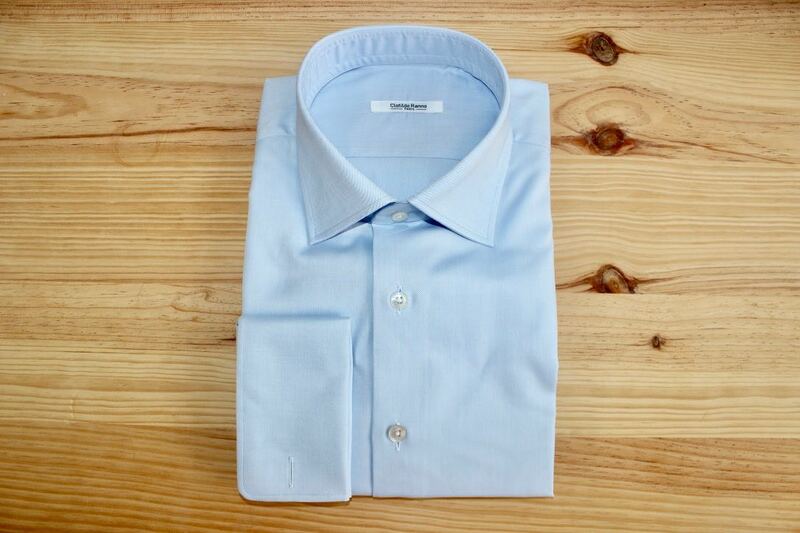 The non iron fabric makes the shirt more comfortable. 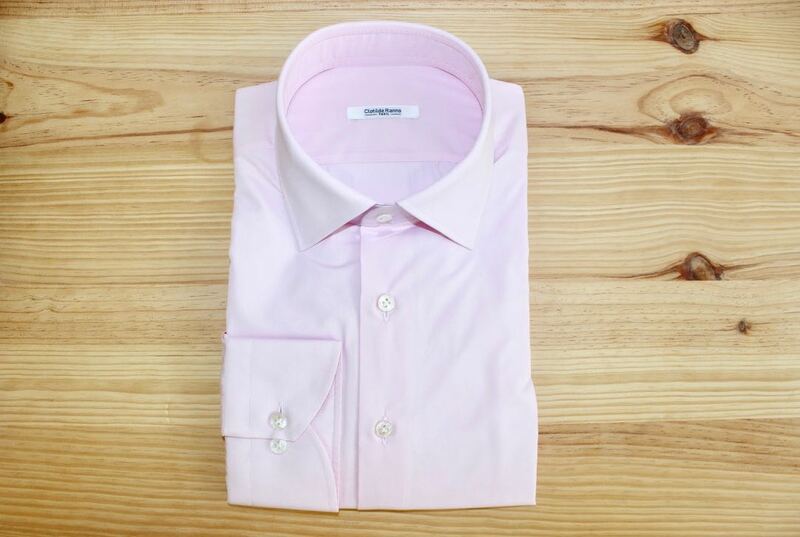 If you like the non iron fabric, you will like the Non iron black shirt, the non iron pink shirt and the Helder Clotilde Ranno non iron shirt. Book an appointment at our Atelier to receive our best advices to create the perfect bespoke shirt. 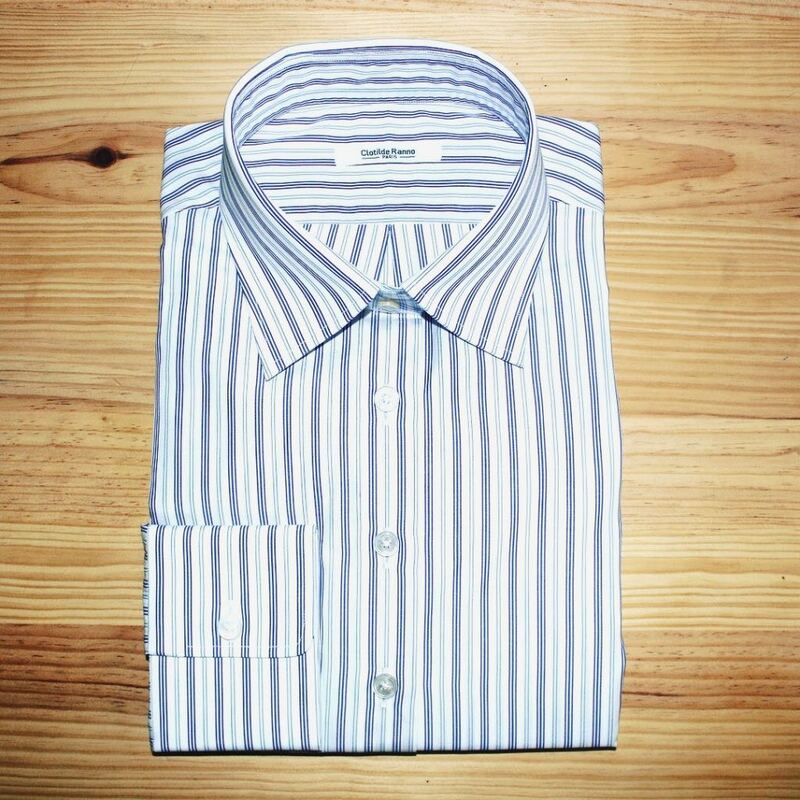 I listen carefully to my clients to fully understand their demand to realize the best bespoke shirts. 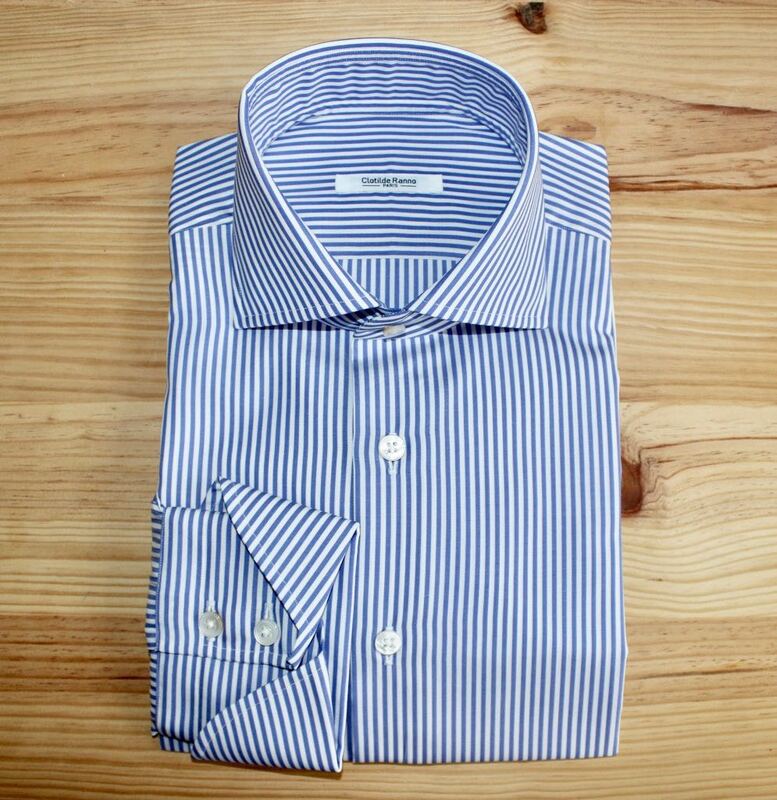 For your information, you will receive your bespoke shirt a month after its conception. However, we can be more flexible in case of emergency (ceremony, birthday).